The Lotus Method (TLM) is the personalized fitness method designed specifically for motherhood. We are the most recognized and respected fitness brand in the Bay Area that focuses exclusively on prenatal and postnatal women. Our approach is as unique as your experience. TLM was established in 2014 by a Pre/Postnatal Master Trainer who felt a deep desire to help this under serviced population. Having worked with hundreds of pregnant and postnatal women prior to opening TLM, she understood the importance of creating a physical space where women could feel safe, supported and empowered. Despite being told she was crazy for not implementing a class model, our founder created the only one-on-one personal training method designed exclusively for pre/postnatal women because, she knew from 10 plus years experience, how different each pregnancy and postpartum experience truly is. Using a comprehensive and integrative approach, TLM prepares women for the demands of pregnancy, labor and motherhood. Since TLM’s opening 4.5 years ago, we have rendered over 40,000 individual prenatal and postnatal personal training sessions. Using the insight and knowledge gained from this highly individualized approach, we are now confident that we can intelligently and responsibly expand our offering to small group (6-8 women) training. We will assess your individual needs and create a customized approach for you. You will leave your workouts feeling energized and confident, and will have a Pre/Postnatal Exercise Specialist by your side every step of the way who is passionate and knowledgeable. 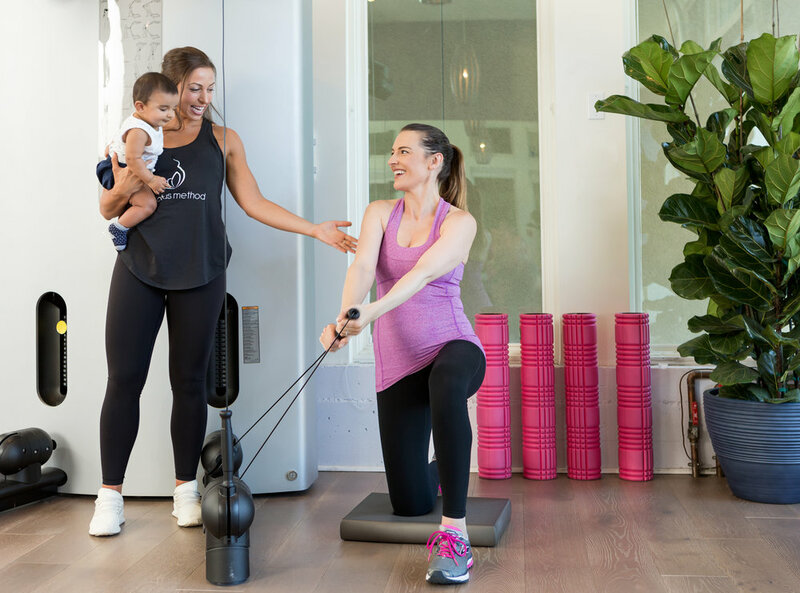 Nothing will ever replace our Signature Experience; you receive the customization and expertise of your Pre/Postnatal Exercise Specialist coupled with our amazing community via our complimentary small group training. Looking for a community but still want the expertise of Pre/Postnatal Experts? Our Empowerment Collective is the best small group training option for Pre/Postnatal women in a fun, smart and empowering environment.